Six police killed, 4 injured in bomb attack on a police garage. A separate attack on a police patrol in southern Baghdad injures 3 police and 1 civilian. And, another explosion in southern Baghdad injures 5 civilians. Sahwa commander Adnan Atallah of al-Masrah village is killed by a bomb placed in his car. Three other people are injured. For all of what I have said, I invite His Excellency President Jalal Talabani of the brotherly Republic of Iraq, all parties that participated in the elections, and political actors, to the Kingdom of Saudi Arabia to meet, after the holy Hajj period, in Riyadh under the umbrella of the Arab League, in order to seek a solution for every problem facing the formation of the government which has long remained unsolved, and in order to consult and decide which noble way you take and which honorable direction you choose. He who holds the reins to the resolution ought to possess the wisdom and its dictates. Destruction has so many smooth roads, but construction, after the blessing of Almighty, calls for a strong will. In Baghdad, an MP close to Prime Minister Nuri Al Maliki, who is seeking to keep his job, scorned the invitation. “This Saudi initiative is not positive, and that country does not have a role to play because it has not been neutral in recent years; it has always had a negative attitude toward (Maliki) and (his) State of Law” bloc, Sami al-Askari said. Mahmoud Othman, an independent Kurdish MP, said Iraqis should sort out their own problems. French airline Aigle Azur makes the first direct flight from western Europe to Baghdad since before the Gulf War. However, it's a symbolic gesture. Regularly scheduled flights have yet to begin. It's not that big of a deal anyway. You can fly to Baghdad, you just have to change planes in Turkey or Abu Dhabi. The Arab League called on Friday for those behind the "crimes against humanity" contained in leaked Iraq war documents published by the whistleblowing website WikiLeaks to be brought to justice. This probably doesn't make Maliki feel any better about Arab League participation in formation of the government, if you know what I mean. Hamid Karzai denounces the joint U.S.-Russian raid on heroin labs, calling it a violation of Iraqi sovereignty. "Any repetition of such acts will prompt necessary reaction by our country," the presidential palace warned. Hmm. Would it be irresponsible to speculate on exactly why the president is so protective of heroin labs? Quoth Laura King of the LA Times, from the above link: "In the past, U.S. officials have suggested that the lucrative drug trade in Nangarhar, part of a complex web of organized crime, bears hallmarks of complicity by some local government figures." Two German soldiers injured by roadside bombs in Kunduz, and 2 U.S. soldiers injured in a gun battle in Baghlan. Office of the Governor of Helmand Province says 17 Taliban and 2 Afghan soldiers killed in fighting on Saturday. Taliban spokesman denies any Taliban deaths. They behead – we do it with smart bombs. There is, of course, an ugly truth to this recently minted axiom: the horror of state terrorism is that the overwhelming machinery of death in the hands of all-powerful governments far outweighs individual atrocities by madmen, small groups and non-state entities. While, with their beheadings and murders of innocents, the heathen thugs and killers may indeed be barbarians, it is almost impossible to accomplish with their amateur methods the slaughter of half a million children, as did the Anglo-American/UN sanctions in Iraq. #1: An Iraqi civilian has been killed when an explosive charge stuck to his car blew off in Baghdad early on Saturday, killing him on the spot, a security source said. He said the explosive charge went off when he passed close to central Baghdad’s Jadiriya bridge, killing him and causing severe material losses to his car. #1: An Iraqi health official says the death toll from a suicide bombing north of Baghdad has risen to 26. Hussein Jaafar, the director of the hospital in Balad Ruz, said Saturday that five more people have died from injuries sustained in the blast. The suicide bomber blew himself up inside a popular cafe Friday night, breaking what has been a period of relative calm in Iraq. The neighborhood where the explosion occurred is home to many Shiites of Kurdish ethnicity. #1: An eight-year-old boy was killed and two of his family members wounded when a grenade he had found in a field and was playing with exploded in the town of Rashad, southwest of Kirkuk, 250 km (155 miles) north of Baghdad, police said. #1: A roadside bomb targeting an Iraqi army patrol wounded three civilians, including one woman, when it went off in eastern Mosul, 390 km (240 miles) north of Baghdad, police said. #1: Insurgents armed with rifles, rocket-propelled grenades and mortars tried to storm a combat outpost in eastern Afghanistan on Saturday, setting off a battle that killed 30 attackers and wounded five coalition soldiers, NATO said. Assailants struck from all sides in the nighttime attack on the outpost in Paktika province's Bermal district, where nearly all NATO forces are from the U.S. military. The military called in close air-support and aircraft dropped three bombs to help repel the insurgents. According to NATO, the five coalition service members who were wounded in the attack continued fighting. "Insurgents attacked from all directions," NATO said in a statement. It provided no further details. The attack took place in an area about 200 kilometres south of Kabul that borders the Pakistani region of North Waziristan. The area is controlled largely by the Haqqani network, a Pakistan-based Taliban faction closely tied to al-Qaida. #2: Militants attacked a Pakistani military checkpost on Saturday, killing two soldiers in a restive tribal district on the Afghan border, a security official said. The attack took place in the Badar area, 30 kilometres north of Wana, the main town in South Waziristan district. "Militants attacked a military checkpost today in South Waziristan and killed two soldiers," a senior security official in the area told AFP on condition of anonymity. #3: The noose has been tightened around one of the lingering insurgent strongholds where Canadian soldiers operate in Kandahar's Panjwaii district. But a two-day operation aimed at cutting insurgent supply lines into the volatile town of Nakhonay also angered locals and prompted a retaliatory attack by the Taliban. Teams of Canadian engineers and infantry troops were dropped by helicopter earlier this week on the southern edge of Khenjakak, a small village southwest of Kandahar City. They charged out of Chinook helicopters as daylight broke Wednesday morning, prepared for contact. As they moved north through the town, however, they only found traces of the shadow-like insurgency. In a grape hut, a patrol came across an extensive cache of medical supplies. "It's probably a stop-over for injured insurgents," said Warrant Officer Todd Weber, a member of Bravo Company's 4 Platoon. 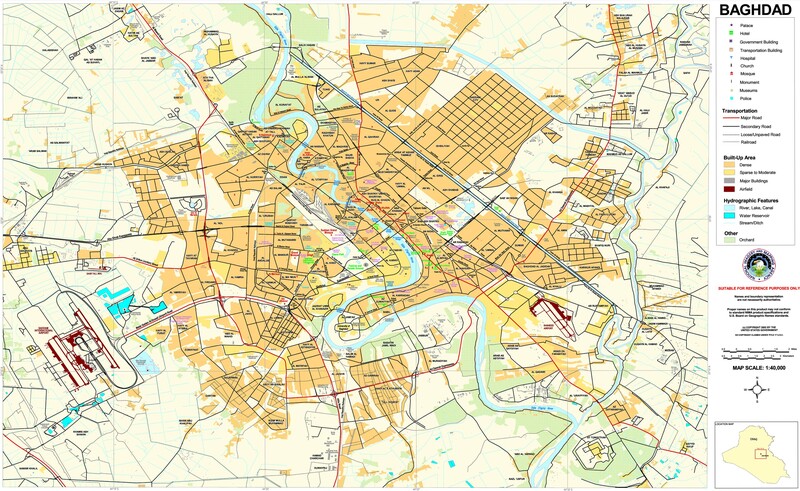 NATO has had little presence in this area until now, allowing the insurgents to use it as a staging area for attacks further north. #4: A suicide car bomb apparently targeted security forces in Tanai district of eastern Khost province Saturday, casualties feared, district governor Daulat Khan Qayumi said. DoD: Pfc. David R. Jones Jr.
DoD: Sgt. Michael D. Kirspel Jr.
A Trade Ministry employee is injured and his nephew is killed by armed attackers al-Aamel neighborhood, southwestern Baghdad. Owner of an exchange office is found dead. 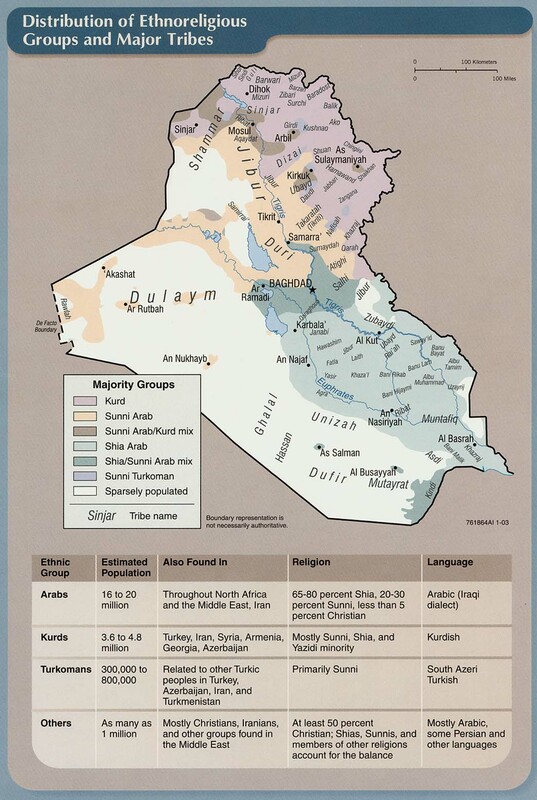 In Iraq at present, it is often difficult to distinguish ordinary crimes from political violence. As often happens in the mature stages of guerrilla war -- as happened, for example, in the case of the IRA -- insurgent groups finance themselves through robbery and extortion, and may devolve into criminal enterprises. Chlorine explosion at a water plant sickens hundreds. It is unknown at this time whether this was sabotage or an industrial accident. GENEVA (26 October 2010)– “The files reportedly indicate that the US knew, among other things, about widespread use of torture and ill-treatment of detainees by Iraqi forces, and yet proceeded with the transfer of thousands of persons who had been detained by US forces to Iraqi custody between early 2009 and July 2010. The files also allegedly include information on many undisclosed instances in which US forces killed civilians at checkpoints and during operations. U.S. and Russian forces collaborate in a raid of four drug laboratories near the border with Pakistan. This is actually a significant development. U.S. withdrawal will be greatly facilitated if regional powers can take more responsibility for addressing the narcotics problem in Afghanistan, given that Afghanistan lacks an effective government and security force. Afghan officials say Iranian border guards killed a woman who was trying to cross into Iran illegally. There is a large flow of refugees from Afghanistan into Iran, which the Iranians appear to be increasingly trying to stop. NATO claims a helicopter killed 20 insurgents in Spin Boldak. One police officer killed and seven injured in a suicide car bombing of police headquarters. KUNA describes three attacks on public officials. 1) A police source told KUNA that unidentified militants planted a bomb in the car of Brigadier Abdulrazzaq Abdulwahab who works at the oil facilities protection department. The bomb exploded as Abdulwahab was driving his car in Al-Aamil neighborhood, killing him immediately and damaging his car and several close civilian vehicles, he added. 2) Another bomb exploded in the car of Brigadier Hussein Mahdi Jumaa in the same neighborhood, who was injured. 3) A third bomb exploded in the car of an employee in the Reconstruction and Housing Ministry in Al-Karrada neighborhood in central Baghdad, injuring him. Provincial politicians speaking on condition of anonymity suggested that the allegations against Mehdi were a settling of accounts by supporters of former governor Mutasher Hussein Ellewi, who was sacked for alleged corruption in 2009. Shortly after the 2003 invasion, the US-led occupation authority barred all senior and middle-ranking Baathists from public life, depriving tens of thousands of government employees of their jobs. Implementation of the law is now overseen by the JAC, which disqualified 456 candidates from Iraq's March 7 general election for alleged membership of the party. Headed by leading politicians from Iraq's Shiite majority community, the JAC has been accused of pursuing a witchhunt against members of the Sunni Arab minority which dominated Saddam's regime. ISAF soldier killed by IED in southern Afghanistan. No further details at this time. Taliban raid a police checkpoint in Takhar province, kill one police officer and injure another. Several "militants" said to be killed by drone attacks in Pakistan. TOLO sources this only to "officials," presumably Pakistani. Mikhail Gorbachev has some advice for President Obama: Victory is impossible, get the hell out. Bomb at a checkpoint near the Sunni Endowment kills 2 security guards. AP also reports a bomb hidden in a pickup truck kills the driver and injures 3 bystanders. One civilian killed, 1 injured by a sticky bomb attached to a truck delivering gas cylinders. Could possibly be the same incident as above -- reported casualty tolls often differ. Sahwa leader assassinated in southern Baghdad. Three restaurant workers killed by a bomb late Tuesday. Also late Tuesday, 10 killed, including 2 police, 13 injured, in attempted robbery of a gold market. Two soldiers killed, 9 people injured in a bomb attack on a military patrol. DPA also reports gunmen killed a policewoman and injured her brother. Two soldiers, 1 other person injured in bomb attack on a patrol. Chief of the Jalawlaa investigation department, Major Mohammad Ibrahim, and 3 of his companions are killed by a bomb attack on the highway. A U.S. soldier, guarding a provincial reconstruction team, is injured by sniper fire. This is apparently not related to conflict or politics, but it seems to be dominating the news from Afghanistan today so I can't ignore it. 65 people reported killed by a roof collapse at a wedding party in Baghlan Province. The main significance is that this demonstrates the prevailing poverty in Afghanistan and poor quality construction. Gunmen attack an Iraqi army checkpoint in Mansour, killing 1 soldier and injuring another. Undersecretary of Planning Mahdi al-Allaq survives an assassination attempt by a bomb attack on his convoy. Two guards and 2 bystanders are injured. A civilian is killed by a bomb. Four civilians injured by an IED. I may have been the last western journalist to interview Aziz in the cavernous, echoing halls of the old foreign ministry in Baghdad, literally weeks before the cruise missiles of "shock and awe" cascaded into the city. Aziz was sitting in a large armchair, Iraqi flags to his left and right, puffing on an extra large cigar. "I have met your Mr Heath and Mrs Thatcher, but not your Mr Blair," he told me. "Please tell Mr Blair that we have no weapons of mass destruction in Iraq," Aziz continued. "Please tell him that he is welcome to come here, or send anyone who wishes to see for themselves." I wasn't sure just how serious Aziz was with his offer – although having spent time with the former head of the Unscom weapons inspections team, Scott Ritter, I was pretty sure that Aziz was telling the truth about WMD. So I did pass the message on to Tony Blair, who looked at me rather strangely. As we all recall, in attempt to justify the Iraq War, the Bush administration claimed that Iraq still possessed weapons of mass destruction and that it harbored al Qaeda. While those didn't pass the smell test, there was truth to their illegitimate reasons for the invasion: staking a claim to Iraqi oil, establishing a security base in the Middle East other than fickle Saudi Arabia, and just putting the fear of God (or Allah) into the Middle East. One other justification, deposing a serial human rights violator, suckered in many, even some liberals. Deep down, they must have known that the Bush administration would never launch a war out of ethical considerations. What country does really? They seemed to embrace the result, though, even if it wasn't done for the right motivation. But the recent WikiLeaks document dump shows the extent to which Bush & Co. failed at even halting human rights violations. District police chief and 3 police officers killed by a land mine in Herat. NYT's Dexter Filkins and Alissa J. Rubin report that ostensible U.S. puppet Hamid Karzai is apparently not a big fan of the United States. Director-General of the Iraq Electricity Ministry, Saad Bakr, is assassinated while on his way to work. A soldier and a civilian are injured by a sticky bomb in Daura. A government employee and 3 bystanders are injured by a bomb attached to his car. 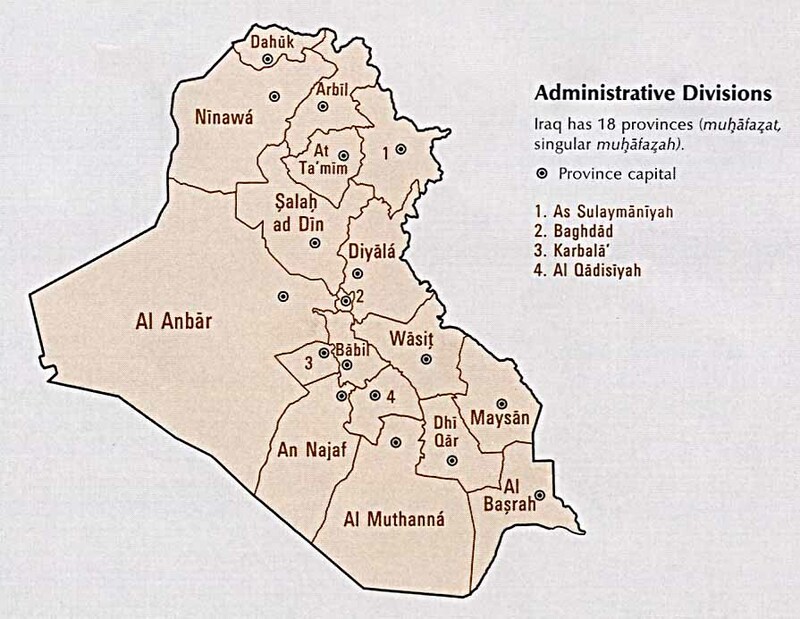 Payroll of the east Baghdad Rusafa’s Education Directorate is stolen by an armed gang. A senior police officer escapes an assassination attempt. Asharq al-Awsat reviews the political fallout in Iraq over the WikiLeaks document dump. It's about what you might expect -- Maliki's opponents say it discredits him, he says it's all a plot to undermine him, the Kurds are trying to sail above it all. Former Australian PM John Howard gets shoes thrown at him on live TV in protest of the Iraq war. The assailant is not identified but is presumably Australian. Kurdish PM Barham Salih asserts that Kurdistan must manage its own petroleum resources. NYT's Timothy Williams and Omar Al-Jawoshy report that Iraq soldiers are heavily into drugs, including stuff I never even heard of. Hamid Karzai says, "Sure I take money from Iran. And?" A local official claims 25 people, including civilians, were killed in a NATO airstrike in Baghran, Helmand. In a more detailed description of what appears to be the same incident, AP reports there was a raid and a firefight preceding the air strike. NATO claims 15 insurgents were killed, by locals say the air strike destroyed a mosque and killed civilians. NATO denies attacking a mosque. ""People are very angry," said eyewitness Salah Ayap, a 26-year-old driver in Maigan village where the incident took place. He said foreign troops arrived in the village around 2 a.m. and there was a fierce gunfight before the airstrike. Only two walls and one small room of a building he described as a mosque were now standing, said Ayap, and villagers were digging the dead out from under the rubble with farming tools and washing them for burial." To get a sense of how this is playing in Afghanistan, TOLO reports "Nearly, 25 people were killed on Monday after Nato forces targeted a mosque in an air raid, provincial security officials saidM. Dead bodies are still under the rubble and efforts are underway to dig them out, officials said." A Dutch aid worker is kidnapped on the highway between Takhar and Kunduz provinces. A Taliban "shadow governor" is killed by a NATO airstrike in Takhar Province. Double bomb attack near a patrol of the 24th Brigade in the area of Abu Ghraib, western Baghdad, kills 2 soldiers and injures 14 late Saturday. Car bomb in the parking lot of a medical center kills 4, injures 10. "The toll could rise as the area was busy during the rush hour of the day, the source said, citing police reports." Bomb near a policeman's house does not cause casualties. Note: This dispatch also gives a low death toll from the Mosul bombing but all other sources report at least 8 to 10 killed there. IED explodes prematurely, killing the bomber and injuring 2 passersby on Saturday. The four-page court order termed as "illegal" a June decision by lawmakers to delay parliament's return and give leaders time to broker political alliances. "The federal Supreme Court decided to cancel this decision, binding the parliament speaker to call on lawmakers to convene parliament and resume work," read the order that was issued Sunday. The delay, it said, "violated the constitution." Sunday's court order settles a lawsuit brought by independent watchdog groups against [Fouad] Massoum in his role as acting speaker. In a brief interview Sunday, Massoum said he has not yet seen the order but has no choice but to abide by the court's demands. And the WikiLeaks hits keep on coming. The Guardian Reports: British troops came close to capturing al-Qaida's top commander and the occupation forces' most wanted target in Iraq – but the operation collapsed after the only surveillance helicopter ordered to monitor him ran out of fuel and had to return to base, secret military intelligence logs suggest. The astonishing blunder in March 2005 allowed Abu Musab al-Zarqawi – a Jordanian associate of Osama bin Laden with a $25m reward on his head – an extra 15 months to expand al-Qaida's operations throughout Iraq, bringing the country close to civil war." I think it's questionable whether this single individual was so essential to the strife of that period as such superficial analysis often has it, but still . . .
A leading member of the Iraqiya bloc calls for an investigation into any culpability by Nouri al-Maliki in the torture and abuse of prisoners reported in the leaked documents. Maliki, meanwhile, claims the leaks are an attempt to smear him, with the truth, apparently. "In a statement, the prime minister's office accused WikiLeaks of creating a national uproar by releasing documents that it said were being used "against national parties and leaders, especially against the prime minister. The timing of these documents is designed to create a media turmoil aiming to hurt Iraq and the Iraqi prime minister," said Ali al-Moussawi, an adviser to the prime minister. "It is similar to other widespread campaigns for well-known political intentions, because of the honest work of the government." British Deputy PM Nick Clegg says it is up to the U.S. to answer for the actions of its forces. "We can bemoan how these leaks occurred, but I think the nature of the allegations made are extraordinarily serious. They are distressing to read about and they are very serious," he told BBC1's The Andrew Marr Show. "I am assuming the US administration will want to provide its own answer. It's not for us to tell them how to do that." Asked if there should be an inquiry into the role of British troops, he said: I think anything that suggests that basic rules of war, conflict and engagement have been broken or that torture has been in any way condoned are extremely serious and need to be looked at." He added: "People will want to hear what the answer is to what are very, very serious allegations of a nature which I think everybody will find quite shocking." The U.N.’s chief investigator on torture, Manfred Nowak, calls for the U.S. to probe the alleged involvement of its forces in human rights abuses. A British soldier shot dead an eight-year-old Iraqi girl as she played with her friends in a street, it was claimed yesterday. "The widows of insurgent fighters in Diyala province are demanding that the government acknowledge the hundreds of children whose fathers died leaving them without Iraqi citizenship. During the worst years of sectarian violence between 2006 and 2008, many men who joined militant groups such as al-Qaeda hid their true names and tribal links from the authorities - and even their future wives. As a result, these marriages are invalid under Iraqi law, meaning their children cannot be registered and are denied state education, healthcare, food allocations and voting rights." "NATO service member" killed by a bomb in southern Afghanistan. No further details at this time. NYT photographer Joao Silva is seriously injured when he steps on a mine. U.S. missile attack on a purported Taliban base in Logar Province kills 9, according to a provincial official. Local people claim 3 civilians also killed, which the sub-governor denies. As Karzai prepares to negotiate with the Taliban, warlords of the so-called Northern Alliance are rearming, fearing a Taliban return to power. One evening last August, as President Hamid Karzai wrapped up an official visit to Iran, his personal plane sat on the airport tarmac, waiting for a late-running passenger: Iran’s ambassador to Afghanistan. The ambassador, Feda Hussein Maliki, finally appeared, taking a seat next to Umar Daudzai, Mr. Karzai’s chief of staff and his most trusted confidant. According to an Afghan official on the plane, Mr. Maliki handed Mr. Daudzai a large plastic bag bulging with packets of euro bills. A second Afghan official confirmed that Mr. Daudzai carried home a large bag of cash. “This is the Iranian money,” said an Afghan official, who spoke on condition of anonymity. “Many of us noticed this.” The bag of money is part of a secret, steady stream of Iranian cash intended to buy the loyalty of Mr. Daudzai and promote Iran’s interests in the presidential palace, according to Afghan and Western officials here. Iran uses its influence to help drive a wedge between the Afghans and their American and NATO benefactors, they say. HOW: At 270900C AUG 09, the PGC TT reports possible detainee abuse IVO (38S LB 413 998). On 26 Aug 09, a PGC TT (which included a USN Corpsman) conducted a post mortem visual examination of JASIM MOHAMMED AHMED AL-SHIHAWI, an individual arrested in conjunction with a VBIED interdicted NE of Camp Taqaddum (SIGACT Entry DTG: 241130CAug09). The detainee was transferred from the IHP in Saqlawiah to the Iraqi CTU in Ramadi for questioning and while in custody, reportedly committed suicide. The PGC TT personnel conducting the post mortem examination found bruises and burns on the detainee`s body as well as visible injuries to the head, arm, torso, legs, and neck. The PGC TT report the injuries are consistent with abuse. The CTU/IP have reportedly begun an investigation into the detainees death. An update will be posted when more information becomes available. The SIR is attached. The US army’s cover-up of Iraqi state sanctioned torture: Although one of the stated aims of the Iraq War was to close down Saddam Hussein’s torture chambers, the Wikileaks documents show many cases of torture and abuse of Iraqi prisoners by Iraqi police and soldiers. In addition, the documents reveal the U.S. knew about the state sanctioned torture but ordered its troops not to intervene. The U.S. kept a death count throughout the War despite repeated denials. The killing of hundreds of civilians at US manned checkpoints: According to the documents, many Iraqi civilians were killed during the war at checkpoints in contrast to the official US position. New information on Blackwater civilian killings: The secret US files reveal new cases of Blackwater (a company now known as XE) opening fire on civilians. No charges were ever brought. US Army reports about Prime Minister Nouri al Maliki and allegations of his association with death squads. Iran’s secret involvement in financing Shia militias: The files detail Iran’s secret war in Iraq and discuss Iran’s Revolutionary Guard acting as an alleged supplier of arms to Shia insurgents. #1: Three sahwa (awakening) fighters were wounded when unidentified gunmen opened fire on a checkpoint of the tribal forces in southern Baghdad city on Friday, a security source said. “Unidentified gunmen opened fire on a sahwa checkpoint in al-Rai neighborhood, al-Sayyediya area, southern Baghdad, leaving three fighters wounded,” the source told Aswat al-Iraq news agency. #2: An Iraqi soldier has been killed and two others injured in an explosive charge blast targeting their patrol in northern Baghdad on Saturday, a security source said. “An explosive charge blew up against an Iraq Army patrol in northern Baghdad’s Ghazaliya district on Saturday, killing one of its soldiers and wounding two others,” the security source added. #1: An improvised explosive device went off near the vehicle of the Daughters of Iraq leader in the province of Diala, leaving her sister wounded on Friday, according to an official security source. “An IED went off near the vehicle of Wijdan Adel, the leader of the Daughters of Iraq, in the area of al-Manjara, central Baaquba. She was not on the vehicle then but her sister sustained medium wounds,” the source, who asked not to be named for security reasons, told Aswat al-Iraq news agency. #1: A suicide attacker driving an explosives-packed car blew up the entrance to a United Nations office Saturday in western Afghanistan, allowing at least three other militants wearing bomb vests to rush into the building, officials said. An unknown number of U.N. employees were inside the building when it was attacked, said Dan McNorton, a spokesman for the United Nations Assistance Mission in Afghanistan. He had no information about any casualties. The suicide car bomber destroyed the gate and at least three other militants - all wearing explosives vests - went inside, said Nabiq Arleen, a spokesman for the provincial governor of Herat province. Afghan security forces exchanged gunfire with the attackers, killing at least one of them, said Ministry of Interior spokesman Zemeri Bashary. #2: In the south, a photographer for The New York Times was seriously injured by a mine Saturday in Kandahar province where international forces are pushing into Taliban strongholds to try to turn the tide of the war. Joao Silva, 44, received leg injuries when he stepped on the mine while accompanying American soldiers on patrol in the Arghandab district. Silva was evacuated to Kandahar Air Field where he was receiving treatment, the newspaper said in a statement. No U.S. troops were wounded in the morning explosion. #3: Military helicopter gunships attacked hideouts of Islamist militants in the northwestern Orakzai region, killing at least 10 insurgents and wounding eight, government officials said. Two militant hideouts were destroyed, they said. There was no independent confirmation of the incident as the area is remote and out of bound for journalists. #4: Two Afghan civilians were killed on Saturday as Taliban militants attacked a NATO-led force patrol in Afghanistan's Wardak province, 40 Km west of Afghan capital Kabul, the military alliance said. "Two civilians were possibly killed when insurgents attacked a coalition patrol in Maidan Shahr district, Wardak province Saturday," the NATO-led International Security Assistance Force ( ISAF) confirmed in a press release here. It said the coalition unit was on a patrol when they were attacked by insurgents with an Improvised Explosive Device (IED). #1: Three persons, including a policeman, were wounded when an improvised explosive device went off near a police patrol in southern Baghdad on Thursday, according to a security source. “A roadside IED went off near a police patrol in al-Sayeddiya, southern Baghdad, leaving a policeman and two civilians wounded,” the source told Aswat al-Iraq news agency. #2: One policeman and a soldier were wounded in an armed attack in western Baghdad on Friday, according to a security source. “Unknown gunmen opened fire on a joint checkpoint in al-Mansour region, western Baghdad, on Friday morning (Oct. 22), injuring a policeman and a soldier,” the source told Aswat al-Iraq news agency. #1: A civilian man was wounded by policemen fire during a manhunt for a wanted person in central Mosul city on Thursday, a local security source in Ninewa said. “The civilian was injured by policemen fire in the area of Bab al-Toub, central Mosul,” the source told Aswat al-Iraq news agency. #2: One Civilian was killed by mistake in a wedding in south of Mosul city, a police source said on Friday. “The man was killed when he got shot by mistake in the wedding in al-Qayara district, south of Mosul,” the source told Aswat al-Iraq news agency. #3: A roadside bomb wounded a young girl in Badush, west of Mosul, police said. #4: A roadside bomb targeting an Iraqi army patrol, killed one civilian and wounded six others in eastern Mosul, 390 km (240 miles) north of Baghdad, police said. #5: A roadside bomb targeting an Iraqi army patrol, killed one soldier in northern Mosul, police said. #6: Gunmen opened fire at an Iraqi police checkpoint, killing one policeman and wounding another in central Mosul, police said. #1: A leader of an Iraqi government-backed Sunni militia was killed in a blast in the city of Fallujah, a police source said Friday. The leader of Sahwa in Fallujah, some 60 kilometres west of Baghdad, was killed when a bomb attached to his car exploded. A woman in the car was also injured. #1: A bomb exploded near a mosque in Pakistan's northwestern city of Peshawar. "Three people were killed and 22 wounded in the attack," city police chief Liaqat Ali told reporters, updating an earlier police toll of two. "The target was people in the mosque and the purpose was to create a scare," he added. Most of the wounded sustained minor injuries, he said. The attack took place in the congested neighbourhood of Pushta Khara on the western outskirts. #2: Another IED killed six Pakistani soldiers in the tribal district of Orakzai, which is close to Peshawar. It was the third deadly attack on paramilitary troops patrolling the tribal belt this week. Six Pakistani troops including a senior army officer were killed Friday when a roadside bomb hit their vehicle in a northwest tribal region near the border with Afghanistan, local sources said. Another two soldiers were injured in the blast in upper Orakzai tribal area on their way to nearby Kohat, a main city in the area, they said. The deceased senior Pakistani military officer was identified as Colonel Yousuf. The vehicle was completely destroyed in the incident at Yakh Kandaou area. #3: Khorshid, the governor of Dur Baba district in southeast of Nangarhar province, was driving to work when an improvised explosive device hit his vehicle on Friday. "The district governor has been martyred. Three other people, his driver and guards have been injured," AFP quoted police spokesman Abdul Ghafour as saying. #4: Earlier, a powerful bomb explosion killed the governor of the Kunduz province along with many other innocent civilians in a mosque in the Takhar province in northern Afghanistan. #5: An Afghan official says insurgents have attacked a NATO convoy in southeastern Afghanistan, killing three drivers and setting 13 fuel tankers ablaze. Muhammed Jan Rasolyar says the attack happened Thursday night in Shahra Safa in Zabul province. He is the spokesman for the provincial governor. NATO is reporting the death of an ISAF soldier from an IED attack in an undisclosed location in southern Afghanistan on Wednesday, October 20th. NATO is reporting the death of an ISAF soldier from an insurgent attack in an undisclosed location in eastern Afghanistan on Thursday, October 21st. 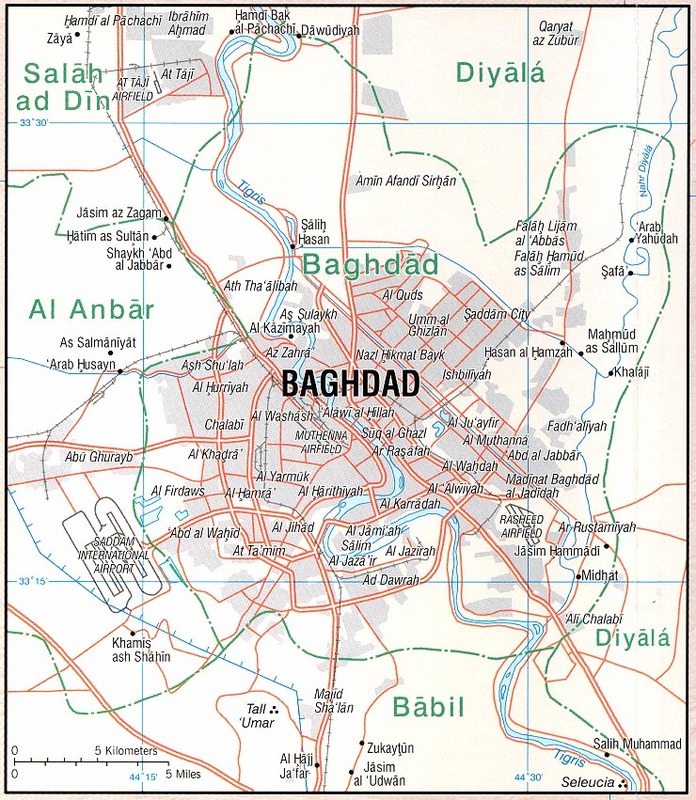 #1: Two blasts rattled central Baghdad on Wednesday, without causing damage, the Baghdad Operations Command (BOC) said. 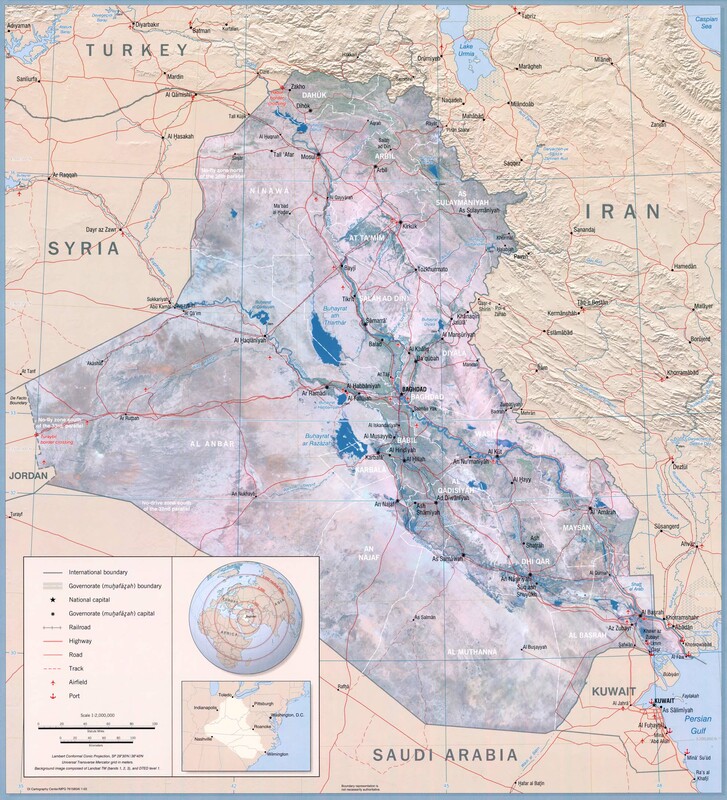 “Two explosive charges went off in Sheikh Omar and al-Jaaiefar regions in Baghdad, without causing damage,” the BOC said in a statement received by Aswat al-Iraq news agency. #1: A bomb, planted in front of a school in northern Nassiriya, was defused Wednesday by security forces, chairman of the Thi-Qar council’s security committee said. “A joint force of national investigation and anti-explosives departments managed to defuse a bomb, planted near the school in northern Nassiriya,” Sajad al-Assadi told Aswat al-Iraq news agency. #1: Three persons, including a soldier, was wounded on Thursday in a bomb explosion in northern Baghdad, a police source said. “An improvised explosive device went off Thursday (Oct. 21) in al-Tarmiya region, northern Baghdad, targeting an army vehicle patrol, injuring a soldier and two passing civilians,” the source told Aswat al-Iraq news agency. #1: A Sahwa fighter was killed Thursday by an improvised explosive device blast in Samarra, a police source said. “The bomb exploded near him while he was heading for his work in al-Jubier neighborhood in eastern Samarra, killing him instantly,” the source told Aswat al-Iraq news agency. #1: Police found the body of unknown man with bullet wounds in the town of Daquq, 200 km (125 miles) north of Baghdad, police said. #1: Armed men in a speeding car opened fire on and killed a district mayor in the centre of Kirkuk, 250 km (155 miles) north of Baghdad, police said. #1: Two train drivers were wounded in a bomb blast in south of Mosul on Wednesday, a police source said. “An improvised explosive device went off Wednesday (Oct. 20) targeting a train’s coach in Hamam al-Aliel district, south of Mosul, injuring two drivers,” the source told Aswat al-Iraq news agency. “The bomb exploded while the first coach of the cargo train was passing, causing material damage to it,” he explained. #2: Five persons, from the same family, were killed Wednesday by an armed group in eastern Mosul, a police source said. “The gunmen raided the house in al-Wehda neighborhood in eastern Mosul, killing two women, a 13-year-old girl and two men,” the source told Aswat al-Iraq news agency. “The father of the family is a soldier of the border guards and was killed in the attack,” he added, noting that police sealed off the whole region and started an investigation into the incident. #1: In the western province of Herat on Wednesday, four Afghan police officers were killed and one injured when a roadside bomb struck their vehicle in the Keshk-e-Kuhna district, the Interior Ministry said Thursday. #2: Another policeman was killed in a suspected Taliban ambush in Herat's Ghoryan district Wednesday, the ministry said. One accused militant was killed and three others detained during the clash, it said. Insurgents ambushed a group of Afghan border police in Ghorian district of Herat province, which borders Iran, on Wednesday, the Interior Ministry said. One insurgent was killed during the ensuing battle and one policeman later died from injuries sustained during the attack, it said, adding that three of the insurgents had been detained. NATO is reporting the death of an ISAF soldier from an IED attack in an undisclosed location in southern Afghanistan on Tuesday, October 19th. The British MoD reports this is a British soldier. #1: One Sahwa fighter was killed and four others were wounded Tuesday in a bomb explosion in Baghdad, a police source said. “The bomb exploded near a Sahwa checkpoint in al-Aadhamiya region, killing one fighter and injuring four,” the source told Aswat al-Iraq news agency. #2: Two Iraqi soldiers have been injured in an explosive device blast that targeted an Iraqi Army convoy in western Baghdad early on Wednesday, a security source said. An explosive charge, that targeted an Iraqi Army convoy in west Baghdad’s Al-Mansour District, has wounded two soldiers,” he said, adding that the blast had caused material damage for a Hummer vehicle the two soldiers they had been in, adding no further details. 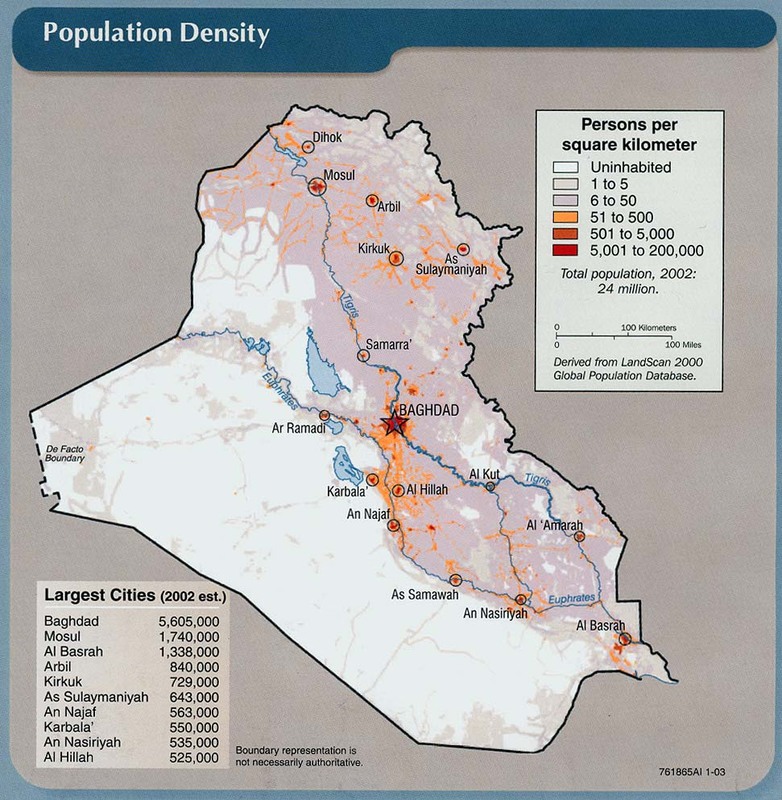 #3: Three people were wounded by a roadside bomb in Baghdad's central Sinek district, an Interior Ministry source said. #1: One civilian was killed Tuesday by a sticky bomb explosion in central Baaquba, a security source said. “The bomb, attached to a civilian vehicle, went off Tuesday afternoon (Oct. 19) near al-Sharief cemetery in central Baaquba, killing the driver and damaging three nearby cars,” the source told Aswat al-Iraq news agency. #1: The UN envoy to Iraq, Dutch diplomat Ad Melkert, was unhurt after a bomb attack targeting a convoy of vehicles south of Baghdad, UN and police officials said. There were conflicting reports over Tuesday's incident, with Melkert saying he was in the convoy that was attacked, while senior Iraqi officials said he was not. Melkert, 56, said he was in the convoy escorting him to the airport in the holy Shiite city of Najaf when a roadside bomb exploded at 4:00 pm (1300 GMT). "My convoy was attacked by a bomb, which led to the killing of one Iraqi policeman, so far as I know. I feel sad for the death of the policeman. #1: “A force belonging to al-Kusuk police center in Talaafar city, west of Mosul, had found the corpse of a 16-year-old young man, following an explosive charge blast in an unfinished building in Tamarat village, 20 km to the east of the city,” the security source noted. #2: In another incident, the same source reported that an explosive charge, planted on the side of the main highway connecting Talaafar with Sinjar town had blown up, but caused no casualties. #1: One gunman was killed Tuesday in a bomb blast in west of Mosul city, according to a security source. “The gunman was killed when the bomb he was making exploded in Tamarat village in Talafar, west of Mosul,” the source told Aswat al-Iraq news agency. #1: At least two people were killed on Wednesday in a blast near a checkpost in northwest Pakistan, local media reported. Police said that some miscreants threw hand grenades at a shop near Bara Qadeem checkpost in Khyber tribal area. Local sources said that shooting was heard after the explosion and police cordoned off the site. The DoD is reporting a new death unreported by the military. Pfc. Dylan T. Reid died from a non-combat related incident in Amarrah, Iraq on Saturday, October 16th. Some news articles reports he died of an apparent heart attack. NATO is reporting the death of an ISAF soldier from an insurgent attack in an undisclosed location in southern Afghanistan on Tuesday, October 19th. NATO has posted a repeat release for this death. NATO is reporting the death of an ISAF soldier from an IED attack in an undisclosed location in southern Afghanistan on Tuesday, October 19th. #1: At least 10 Iranian nationals were injured in Iraq's capital city of Baghdad on Tuesday when twin bombs ravaged busloads of Iranian pilgrims destined for holy shrines in the Shiite city of Karbala. The first bomb hit a bus early Tuesday, moments after it left a hotel in the Sa'adun area to head to the holy city of Karbala, 100 km Southwest of Baghdad. The second bomb went off in another location in Sa'adun when the pilgrims were boarding another bus, injuring more Iranian pilgrims. This is while an Iraqi interior ministry official put the number of the wounded Iranians at 12. According to the Iraqi official, three members of a police officer's family were also injured in the bomb attacks. #1: Iraqi officials say a bomb has detonated near the house of a police officer in Saddam Hussein's hometown of Tikrit, killing his 6-month-old nephew and three other family members. Police and hospital officials say the officer, Lt. Col. Qais Rashid, was unharmed in Tuesday's blast. His brother, sister and sister-in-law were killed along with his baby nephew, Col. Khalid Jassim of Tikrit police said. Saad Hassan, an official in the city's main hospital, confirmed the death toll. #2: Death toll from bomb attacks in Iraq's Salahudin province on Tuesday rose to 10 after the police retrieved eight bodies from a bombed house of a police officer, a provincial police source told Xinhua. Eight family members of Major Qais al-Rashid, a company commander in the provincial rapid reaction police force, were killed and two more are still under the debris of his house which collapsed after a bomb explosion earlier Tuesday in the provincial capital city of Tikrit, some 170 km north of Baghdad, a source from Salahudin operations command said on condition of anonymity. A six-month-old child survived the attack after the rescue team pulled him out of the debris alive, the source said. #1: Meanwhile, two policemen were killed and four people wounded in a roadside bomb blast near a police patrol in the city of Samarra, 110 km north of Baghdad, the source said. #1: In addition, a member of a government-backed Awakening Council group, also known as Sahwa, was wounded in a bomb explosion in the city of Baiji, some 200 km north of Baghdad, he added. #1: One Iraqi soldier was killed and seven others were wounded in a car bomb explosion in western Mosul on Monday, according to a police source. “A car rigged with explosives went off Monday afternoon (Oct. 18) targeting a U.S. vehicle patrol in al-Zanjieli region, western Mosul, killing an Iraqi soldier and injuring seven, including three soldiers and a policeman,” the source told Aswat al-Iraq news agency. #2: One woman was wounded Monday by an improvised explosive device in western Mosul, a police source said. “Army forces detonated a bomb found in Hawi al-Kaniesa region, western Mosul, injuring a passing woman,” the source told Aswat al-Iraq news agency. #3: A suicide car bomber killed one Iraqi off-duty soldier and wounded seven people, including three off-duty soldiers, a traffic policeman and three passers-by, in western Mosul, an Iraqi army source said. #4: Gunmen opened fire at an Iraqi army checkpoint killing a soldier in western Mosul, 390 km (240 miles) north of Baghdad, police said. #1: Two senior Taliban commanders were among 15 suspected insurgents killed in coalition airstrikes in northern Afghanistan, NATO said Tuesday. Abdul Jamil and Juma Din - the Taliban commanders of Dahanah Ghori and Baghlan-e-Markazi, two districts in Baghlan province - were the main targets of airstrikes Sunday, the NATO-led International Security Assistance Force (ISAF) said. 'The strikes killed 15 insurgents armed with rocket-propelled grenades and automatic weapons,' the statement said. 'ISAF was able to confirm today that Abdul Jamil and Juma Din, the Baghlan-e-Markazi district leader, were among those killed.' The alliance said Monday that at least 10 suspected insurgents might have been killed in the air raid. Baghlan Governor Munshi Abdul Majeed put the Taliban's death toll at 18. He said seven others were injured in the airstrikes. #2: Gunmen in Balochistan province on Tuesday torched vehicles carrying supplies for Nato troops fighting the Taliban in neighbouring Afghanistan, in the second such attack in 24 hours, police said. The two tankers were attacked in Balochistan. Two men riding on a motorbike held up the trucks at gun point, forcing the drivers and their helpers to leave, police official Khuda Bakhsh said. The gunmen doused the trucks in petrol before shooting at them at Dasht Bado town, 175 kilometres (about 110 miles) south of Quetta, Bakhsh said. #3: At least six people were killed in a U.S. drone attack launched late Monday night in northwest Pakistan's tribal area of North Waziristan, local media reported. According to the report, the U.S. drones fired six missiles, two of which were targeting at a house and the remaining four at a vehicle, at Sandali village of Datta Khel area in North Waziristan, which borders Afghanistan. #4: More than 10 insurgents were killed by Afghan and ISAF forces on patrol in Shah Wali Kot district of southern Kandahar province on Monday, the alliance said. The patrol set out after reports there would be many insurgents in the area, including high-ranking leaders, and also detained several fighters, the statement added. #5: A roadside bomb killed three civilians and wounded two in Andar district of Ghazni province, southwest of Kabul, the U.S. military said. #6: Insurgents kidnapped 20 employees of an Afghan construction company in Anar Dara district of western Farah province on Saturday night, the Interior Ministry said. Two insurgents were killed in the incident. #7: NATO's aircraft breached Pakistani airspace once again Tuesday morning at Pakistan- Afghanistan border town Torkham in the northwest of Pakistan, local media reported. NATO warplanes and gunship helicopters entered up to 15 kilometers inside Pakistani airspace, local television DAWN News reported citing paramilitary sources at certain checkpoints in the border area. However, official sources did not confirm the incident so far. The aircraft flew up to Wali Khel, Sultan Khel and Ayub Kala areas and took an aerial view of NATO supply trucks, eyewitnesses said. DoD: Cpl. Jorge Villarreal Jr.
NATO is reporting the death of an ISAF soldier from an IED attack in an undisclosed location in southern Afghanistan on Saturday, October 16th. NATO is reporting the death of another ISAF soldier from an IED attack in an undisclosed location in southern Afghanistan on Saturday, October 16th. #1: A roadside bomb hit a convoy carrying a member of Baghdad's local government, killing him and wounding eight people on Monday, a spokesman for Baghdad's Provincial Council said. The Council's spokesman, Mohammed Hashim, said the politician, Jassim al-Saiedi, was heading to work Monday morning when a bomb detonated in central Baghdad at 8:15 a.m. local time. Hashim said three of al-Saiedi's guards and five bystanders were wounded in the attack which occurred in Baghdad's al-Nahda area. #2: A mortar struck near the "14th of July" suspension bridge in Baghdad's center Monday morning wounding two more (people), the interior ministry said. The bridge connects eastern Baghdad with the Green Zone and spans the Tigris River. #3: An Iraqi civilian has been killed and another injured in an Improvised Explosive Device (IED) blast in northern Baghdad’s Kafa’at District on Monday, a security source said. “An IED, stuck to a civilian car, blew up in northern Baghdad’s Kafaat District early on Monday, killing a civilian and wounding another,” he added, without giving further details. #4: Gunmen trying to rob several jewellery stores in Baghdad exchanged fire with security forces in a firefight that killed three shop owners, an Interior Ministry source said. Two attackers and two policemen were also killed, the source added. #1: The Commander of the U.S. troops in Imam Ali air base in southern Iraq’s Muthanna Province has announced on Monday that a mechanical fault had set fire to a U.S. Humvee Army vehicle on the main highway connecting Samawa with Nassiriya cities. “A mechanical fault has caused the burning of the vehiclce that was among a U.S. Army patrol east of Samawa,” he said, denying that any assault had taken place against the patrol. He added that no human casualties occured due to the incident. Eyewitnesses had said on Sunday that a U.S. vehicle had become target for an unknown reason on the main highway between Samawa and Nassiriya, causing it to set on fire, adding that U.S. troops were seen closing the highway after the incident. #1: A group of unknown armed men opened fire on an old man in his home in northern Iraq’s Mosul city, killing him on the spot, a Ninewa police source said on Monday. “An old civilian man was killed when a group of armed men broke into his house in western Mosul’s Nablus district and opened fire on him using pistols,” the police source said. #2: A roadside bomb went off near a police patrol and wounded four policemen in southern Mosul, police said. #1: Gunmen killed nine Afghan workers who were guarding a NATO supply convoy in the south of the country, police said Monday. The attack in Gereshk district happened on Sunday night, said the deputy police chief for Helmand province, Kamaluddin Khan. 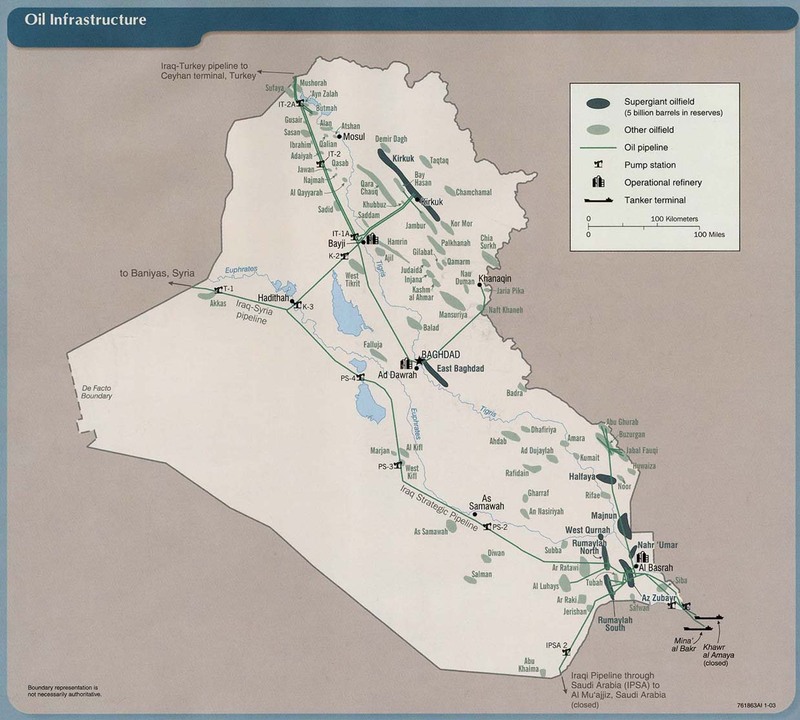 #2-3: Separately, airstrikes by international coalition forces killed up to 14 suspected insurgents. An airstrike in northern Baghlan province reportedly killed around 10 people Sunday, a NATO statement said. It had targeted a leader accused of planting bombs and supplying cash and weapons to Taliban leadership in the area. However, NATO was not able to confirm the number of casualties because neither international or Afghan soldiers could get to the area. #3: Another airstrike in southern Nimroz province killed four fighters who were planting a bomb, said provincial police chief Abdul Jabar Pardeli. A Taliban commander was among those killed by Sunday night's strike, he said. #4: Unknown assailants torched three tanker carrying fuel for Nato forces in Afghanistan on Monday in district Kalat and Quetta of Balochistan. According to police, unknown assailants fired at a NATO tanker at Western Bypass in Akhterabad, gutting the vehicle in an inferno. However the driver and cleaner survived miraculously. According to witnesses, the assailants were on motorbikes and fled the scene after the attack. #5: In another incident unknown assailants first disembarked the driver and cleaner and than torched two NATO oil tankers and fled in district Kalat. No loss of life was reported in the two incidents. #6: Three civilians were killed and five wounded in a bomb blast in western Afghanistan on Monday, local officials told media. A spokesman for the provincial police chief of Herat, the capital of Herat province, said the explosion occurred even as police were trying to defuse the bomb planted underneath a bridge there. An Interior Ministry statement said explosives experts had been called in after the police discovered the bomb early on Monday. It said the bomb had been planted by "enemies of the Afghan government," an euphemism used to refer to Taliban militants. A policeman also sustained injuries in the powerful explosion. #7: Tribesmen clashed with Taliban militants in northwestern Kurram on the Afghan border. Two militants died and their hideouts set ablaze, a government official in the region said. There was no independent confirmation of the event. #8: A suicide car bomber attacked a checkpost in the northwestern Lakki Marwat after security forces opened fire on him, wounding three passers-by, police said. #9: A detainee being held by troops from the NATO-led International Security Assistance Force (ISAF) was found dead in his holding cell in southern Afghanistan, ISAF said in a statement. The man was captured during a military operation on Saturday and was found dead the following day in his cell in Kandahar province, it said. It did not give any further details and said an investigation was under way. Two Sadrist politicians, members of the al-Ahrar bloc, are injured by a sticky bomb. A sticky bomb injures an employee of the industry ministry and two others. reported by AhlulBayt, which says 3 civilians were injured in twin explosions in Dora. Reuters reports that three employees of the Ministry of Housing and Construction were injured by a bomb in Dora. They're probably all talking about the same incident but who knows for sure? Sticky bomb kills a civilian in al-Bayyaa area, southwestern Baghdad. Reuters reports that two passers-by were also injured in this incident. Sticky bomb injures a driver and two pedestrians in Karrada. A man and his son are injured by a mortar attack. Bomb attached to the door of a house injures a teenager. A U.S. patrol is attacked on the highway between Samawa and Nassiriya, leaving one vehicle ablaze. No further information at this time. Attack on an Iraqi army patrol kills a soldier. Four civilians, including two children, injured by bomb attack on a pickup truck. During the past four months, the atmosphere has become particularly charged as the Awakening members find themselves squeezed between Iraqi security forces, who have arrested hundreds of current and former members accused of acts of recent terrorism, and Al Qaeda’s brutal recruitment techniques. As part of the militants’ unusual, though often convincing strategy, Awakening members that Al Qaeda fails to kill are then sought out to rejoin the insurgency. They are offered larger paychecks than their $300 a month government pay and told that they would be far safer. The government, which says it is trying to integrate the Awakening into broader Iraqi society, has further angered the group recently by confiscating its weapons, saying Awakening fighters lack proper permits, and stripping some fighters of their ranks, which the government says were not properly earned. The pay of some Awakening leaders has also been reduced. The Awakening has long complained about Iraq’s reluctance to hire more of its members into the army and the police, and about receiving salaries late. Those problems persist, members say. Maliki plans a trip to Jordan and Iran to beg support for his candidacy for PM. He will meet with King Abudullah, then on to meet with Mahmoud Ahmadenijad and Ayatollah Ali Khamenei. We don't have a parliamentary system so there's no real parallel, but imagine the reaction if a U.S. politician campaigned for support from foreign leaders. Iraqi forces arrest seven men they say are responsible for an assault on the Iraqi Rusafa army base in September. Major General Mohammed al-Askari, the Defense Ministry spokesman says that (as usual) the men immediately confessed. U.S. and Afghan forces launch assault into Panjwai, a Taliban-controlled region near Kandahar. NYT's Carlotta Gall reports on this action, even as attacks continue in Kandahar proper: insurgents attack an oil tanker, causing it to explode; rockets are fired into a prison compound; and a motorized rickshaw explodes behind police headquarters, killing one person and injuring three. Several Afghans working for a U.S.-funded development project have gone missing after a Taliban attack overnight in western Farah province, the provincial police chief said. The wheels of Taliban justice grind neither slow nor small. According to this account, in Ghazni, two women killed their mother-in-law by pushing her into a bread oven. The family of the victim approached the Taliban, who gave her brother a rifle with which to kill one of the perpetrators. As the other is pregnant, she will be detained until she gives birth and then perhaps shot. For what it's worth, it is often reported that one source of support for the Taliban is that they offer justice, whereas the government court system is corrupt and indolent. Joshua Partlow of the WaPo says the U.S. military and diplomatic mission are both feeling good about the way the war is going. "Upbeat assessments had become more common in Afghanistan since Gen. David Petraeus took over in July, but the refrain grew louder after Defense Secretary Robert Gates sounded a note of hope during a trip to the country early last month." THE Taliban have ''overwhelmed'' foreign troops and cannot be defeated by military means, one of Australia's top combat soldiers has warned. Brigadier Mark Smethurst says securing Afghanistan could take decades, but success is uncertain without a fundamental change in strategy. His critical assessment comes in a report that contrasts sharply with federal government claims of progress in Afghanistan. While the key role of Australian troops is mentoring local forces, he says the Afghan army cannot operate independently, despite seven years of training, and the police are even worse. The Afghan government is ineffective and has failed to deal with corruption, human rights abuses and a non-existent justice system. Aid distribution, he says, has been ''wasteful, ineffective and insufficient''. President Karzai has ordered an investigation about the reality of a secret jail in Bagram where prisoners are said to be illegally held while their human rights are not being respected by the US forces. The detainees in the prison were reportedly tortured, including exposure to excessive cold and light, not given sufficient food or blankets, and deprived of sleep. The delegation is comprised of high-profile officials in the Afghanistan Independent Human Rights Commission (AIHRC) and the Judicial Consultative Board of the Presidency headed by the Minister of Justice. The delegation is assigned to carry out extensive investigations within two weeks and report it to the president's office, a Press Release by the Afghan Presidency says. . . .
Head of the Afghan Human Rights Organisation (AHRO), Lal Gull has said his organisation has received reports claiming that inmates were tortured and abused in the prison. The “war on terror” is now in its tenth year. What is it really all about? The bottom line answer is that the “war on terror” is about creating real terrorists. The US government desperately needs real terrorists in order to justify its expansion of its wars against Muslim countries and to keep the American people sufficiently fearful that they continue to accept the police state that provides “security from terrorists,” but not from the government that has discarded civil liberties. Paul Craig Roberts. We just quote 'em -- make up your own mind. #1: Hours later, a family of four was wounded by a sticky bomb attached to the car they were riding in, police said. The incident occured in Balad, about 100 kilometers north of Baghdad. #1: Two Iraqi police officers were killed and two others were wounded early Saturday when gunmen attacked a police checkpoint in Anbar province, authorities said. The attack happened in the the town of Anna, about 260 kilometers west of Baghdad. #2: Two gunmen and two policemen were killed in an armed attack on a police station in west of Anbar, a security source said Friday. “Unknown gunmen attacked a police station in Haditha district, west of Anbar, during which two gunmen and two policemen were killed and two others were wounded,” the source told Aswat al-Iraq news agency. “The attackers used light weapons in their-15-minute attack,” he added. #1: Two suspected US drone strikes in Pakistan's tribal region along the Afghan border have claimed 10 lives, security officials said Saturday. Unmanned drone aircraft fired six missiles into two suspected militant hideouts in Meer Ali area of North Waziristan tribal district, a known hotbed of fighters allegedly linked to Taliban and Al Qaeda. "A drone fired four missiles at around midnight Friday at a compound which Taliban were using as their centre," said an intelligence official, who spoke on condition of anonymity. "Six people died, and three more were injured," he said. Hours earlier, another missile strike targeted a vehicle and killed four alleged militants. #2: A roadside bomb has killed at least 9 civilians and wounded four others in southern province of Zabul in Afghanistan, a senior police official says. The people lost their lives after their bus hit an improvised explosive device near the city of Qalat on Friday, Ghulam Jelani Farahi, the deputy police chief of the province, told Press TV. "Three women are among the victims," Farahi said. #3: Two civilians were killed and seven were wounded when their vehicle hit a roadside bomb on Friday in Deh Rawood district of southern Uruzgan province, the Afghan Interior Ministry said. DoD: Spc. Rafael Martinez Jr.